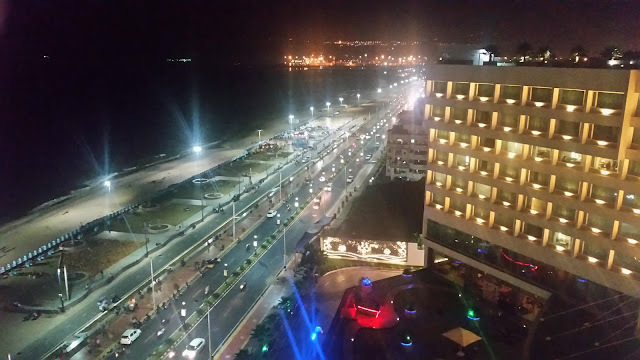 La Cantina at Novotel Hitech City (HICC) is easily the best Mexican restaurant in town. Still, the fine dine outlet holds various promotions from time to time to provide its discerning customers more insight into the finer nuances of Mexican cuisine. The ongoing Fajita and Mojito Fest is part of this initiative. 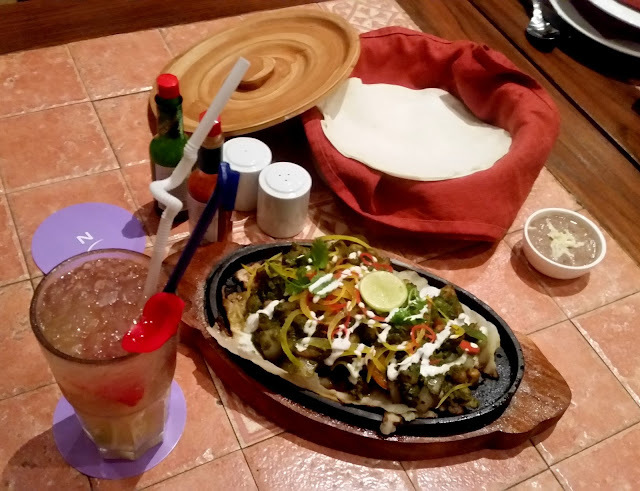 The special menu for the promotion around a dozen exclusive recipes of fajitas which are being showcased. 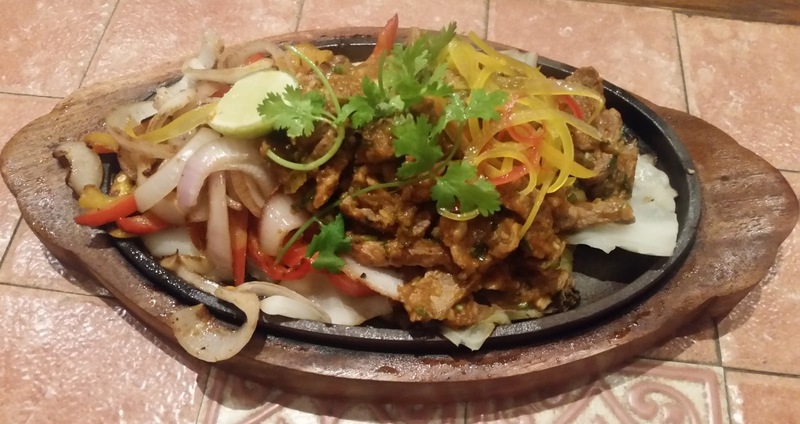 Fajita was originally a dish prepared from thin strips of beef meat and trimmings by the shepherds in Mexico and Texas. These were usually served with tacos or tortillas. Over the last few decades, the popularity of fajitas have spread all over the world, and the dish these days has variants with all kinds of meat, seafood and even vegetables. I started my preview with Pork Fajita, a preparation of pulled pork belly. The dish was served sizzling on the table, and also had a little bit of pork fat strips. 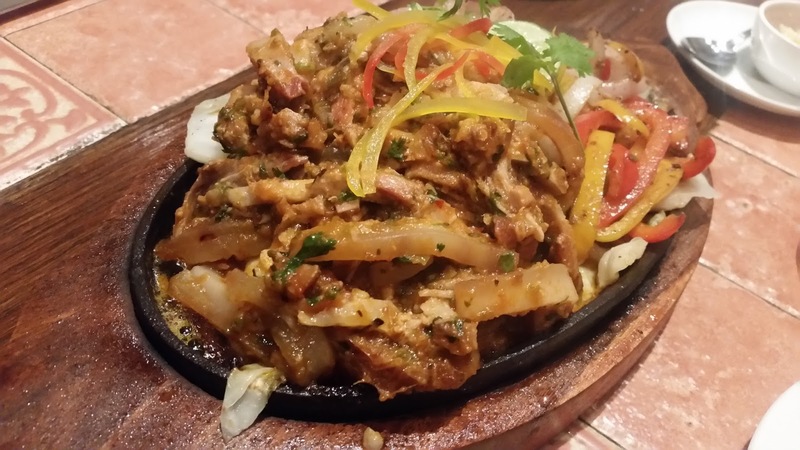 The Mexican spices enhanced the taste of the soft pork preparation. As I was commending the quality of pork, Sous Chef Saurav Chaudhuri explained that the pork had been pre-cooked using sous-vide cooking technique where the meat is sealed in plastic bags and slow cooked in temperature controlled water bath. This method enables the meat to retain all the flavours and moisture of the meat. I tried a thin slice of pre-cooked pork prepared this way, and it was an absolute melt in the mouth. 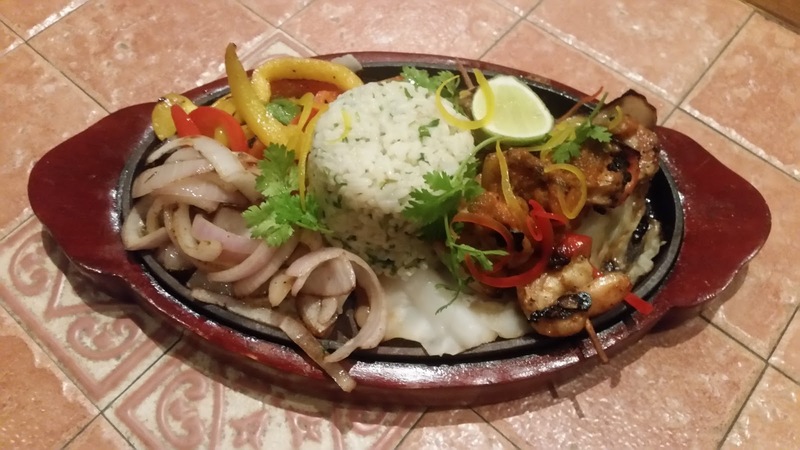 Among the festival list, one fajita which I liked a lot was Camaron Fajita where prawns cooked in ranchero sauce were served on a stick with accompanying rice and vegetables. The flavourful rice gave a different twist to the dish, making it a complete meal even without reaching out for tortillas. There are two chicken based dishes for the festival. Crumbed Chicken Fajita as the name implies had chicken strips fried in panko crumbs. 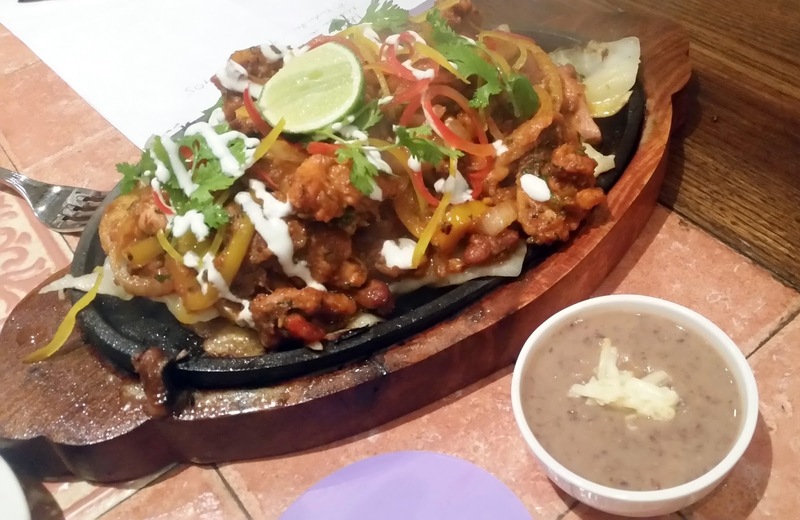 Tex-Mex Chicken or chipotle marinated chicken strips were tossed in beans, pickled jalapenos and cilantro. Braised Sirloin Fajita was the beef dish we tried. It was par for the course though nothing spectacular. The availability of quality beef in Hyderabad often poses a challenge to the taste of beef dishes in the city. The promo also has a tenderloin based preparation. 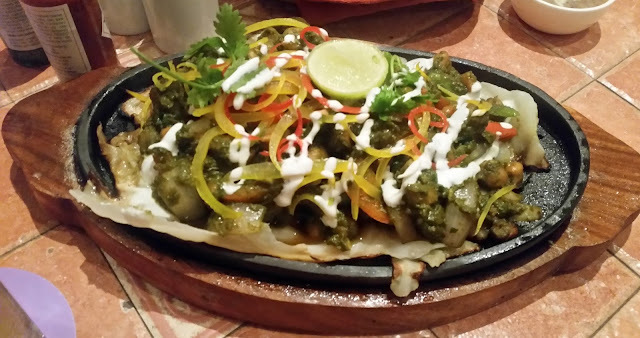 Among the vegetarian dishes on the promo, Chickpea, and Bell Pepper Fajita impressed especially with the herb and garlic sauce in which it was prepared. The roasted chickpea dish seemed to me another apt dish which would have also gone well with rice. The festival menu also has about a dozen mojito variations. My pick was the Lychee Pomo Mojito, with lychee and pomegranate served with white rum, soda, and mint. 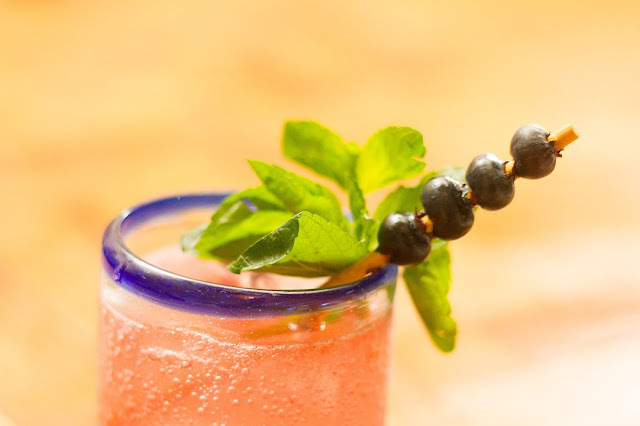 The uncommon Blueberry Mojito with white rum and syrup was also very refreshing. The other signature mojitos are based on pineapple, kiwis, grapes and even lager beer. All the dishes are reasonably priced between Rs 500 and Rs 700. 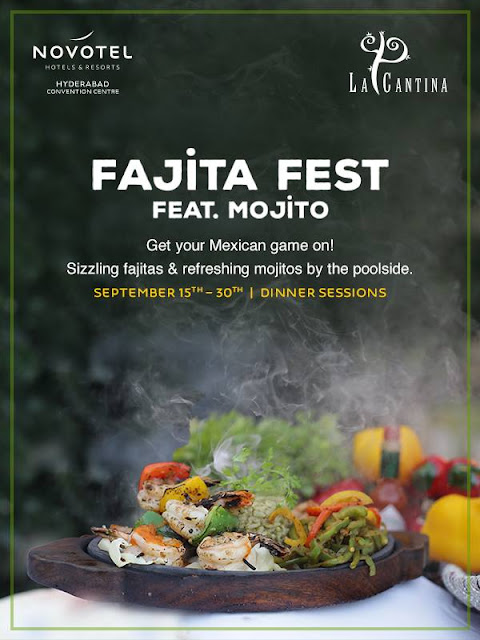 The Fajita and Mojito Festival is on at La Cantina till 30th September only for dinner.